If you are looking for a new roof, there are undoubtedly many different questions and concerns that are swirling in your mind, from the total cost of a new roof to the aesthetics of the roof to the impact it will make on the resale value of your home. Of course, when it comes to selecting a roof, there is perhaps nothing more important than reliability. No one wants to deal with constant problems from their roof. Once it is up on your home or business, you want to be confident that you can simply forget about it — for a long time. Currently, you will find a wide range of different types of roofing materials available on the market. Not all of them are equal in terms of longevity — far from it. If you are looking for a roof that will keep your home safe and dry over the long haul, there are certain types of roofing that are far better than others. Here, we offer an overview of the durability and longevity of some of the most popular roofing materials in South Florida. A Roof that Lasts: What are the Best Roofing Materials for Longevity? Of the common roofing materials available on the market, slate roofing is generally considered to have the longest lifespan. There are two different types of slate: hard slate and soft slate. Hard slate can last more than a century. In some cases, hard slate roofing can even last as long as 200 years. For this reason, certain property owners value slate roofing. It is strong and durable. Considering it last so long, this raises an important question: is there any downside to getting a slate roof on your home? There can be. There are two major drawbacks to slate roofing. First, one downside is that slate roofing is quite expensive. Indeed, it is considered to be one of the most costly types of roofing materials. For some buyers, it may simply not make sense from a financial perspective. The other drawback to slate roofing is that it can be difficult to repair. While slate roofs last a very long time, there is always a possibility that damage could occur. If it does, it can be costly to fix. Metal roofs are extremely durable. When using high-quality metal roofing materials, the lifespan can easily exceed five decades. In many cases, metal roofs can be as long as 70 years. One of the primary reasons why metal roofs tend to last so long is that the core material is incredibly strong and resilient. The lifespan of a roof depends on many different factors. Beyond the ability of the materials to stand up against the everyday wear-and-tear, there are also issues that could cause damage to a roof. Some examples include severe storms, high wind, heavy rain, insect infestation, general rot, fire, and much more. For the most part, metal roofing is impervious or highly resilient to these threats. This makes the lifespan of the material (and how it will react to the elements) far more predictable. Beyond longevity and durability, metal roofing also offers some other important benefits to homeowners and business owners. Compared to other materials that score well on the longevity scale (most notably, slate and clay), metal roofing tends to be substantially more cost-effective. A metal roof is not nearly as expensive as your average slate roof. Further, putting a metal roof on your home has the potential to add real value to the property. Not only is the durability desired by buyers, but metal roofs are increasingly popular from a stylistic and aesthetic perspective. Another roofing material that scores well on the metrics of longevity is clay roofing or Spanish tile roofing — so named because these roofs were frequently used among the early Spanish missionaries centuries ago in California, Latin America, and South America. The typical lifespan of clay tile roofing often surpasses 50 years. However, there is a downside to choosing clay roofing. This type of roof is somewhat more prone to damage than some other types of roofs. The material does not decay (like wood and asphalt), but cracks do sometimes emerge in the terracotta tiles. If you select a clay tile roof for your home or business, it is imperative that you take immediate action to replace or repair any broken tiles. A wood shake shingle is a particular type of thick wooden roofing tile. Some people find them to be aesthetically pleasing — though not everyone always agrees on this matter. Wood shingles offer certain benefits, though they do not have nearly the level of longevity as slate roofing, metal roofing, or clay roofing. On average, wood shake shingles typically last somewhere between 25 years and 35 years. However, wood shake shingles are simply not a ‘set-it-and-forget-it’ type of roof. Like any other type of wood roofing material, wood shake shingles require ongoing maintenance. If you choose a wooden roof, attentive upkeep is key. Traditional wood shingles do not last quite as long as wood shake shingles. This type of wooden shingle is smaller and thinner and is far more common on roofs in South Florida. They are typically less expensive than are wood shake shingles, but they will not last as long. Of course, this is to be expected. Wood is an organic material. Similar to all other organic materials, wood will degrade over time. Though, there are certain steps that property owners can take to help extend the lifespan of a wood-based roof. Composite shingles are actually one of the most popular roofing materials in South Florida and throughout the United States. The lifespan of these roofs can vary, though 15 to 25 five years is a fairly good baseline estimate. What is a composite shingle? It is essentially a combination of several different materials — fiberglass, recycled paper, etc — that are formed together to make a roofing tile. Asphalt roofs are also extremely popular in Florida. Like any other type of roofing material, these types of roofs have both benefits and drawbacks. They are generally considered to be easy to install and cost effective. However, on the flip side, asphalt roofs do not rate nearly as well as many other common roofing materials in terms of longevity. An asphalt roof can be expected to last somewhere between five and 18 years. This means that although an asphalt roof can be cheaper on the front end, it can actually end up costing property owners more in the long run. One of the other issues with asphalt roofs and longevity is that there is not much that homeowners can do to extend the lifespan of an asphalt roof. Even with perfect maintenance, asphalt roofing has certain limits. At Metal Master Shop, we have all of the metal roofing products, metal roofing accessories, and other metal roofing supplies you need to complete your latest project. We are proud to work with contractors, commercial property owners, and homeowners in Miami, South Florida, the Caribbean, and Latin America. 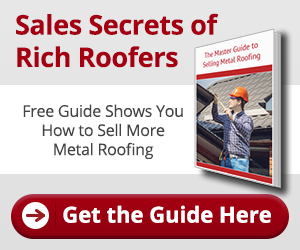 We are committed to offering the very best metal roofing supplies. For a free quote or for additional information more broadly, please do not hesitate to give our top-rated customer service team at (305) 261-9290. Our metal roofing professionals look forward to working with you!